These words resonate profoundly with the watchmakers and creators that we are featuring in our Independents Atelier, a section dedicated to independent watchmaking. For the third season in a row, we are proud to present a selection of carefully curated timepieces from some of the most creative and talented independent watchmakers who have or are shaping watchmaking in a very personal manner. For Dr. Daniels the only possible path for a watchmaker was independence, but this independence also offers immense possibilities to the collector: to own a timepiece bearing its creator’s soul, DNA and philosophy. We are honored to offer the George Daniels Grand Complication, that given its sheer complexity, number of complications and unparalleled degree of craftsmanship, represents the pinnacle of Daniels’ work who is himself the pinnacle of 20th century watchmaking. 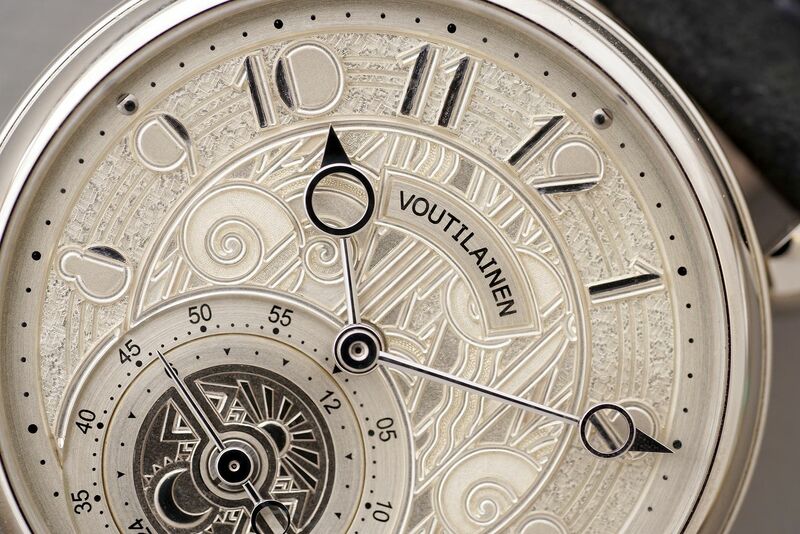 In short, the Grand Complication is the best by the best. The Daniels Anniversary Watch made with his protégé Roger Smith, to celebrate the 35th anniversary of the groundbreaking co-axial escapement by Daniels is also a highlight of this section. 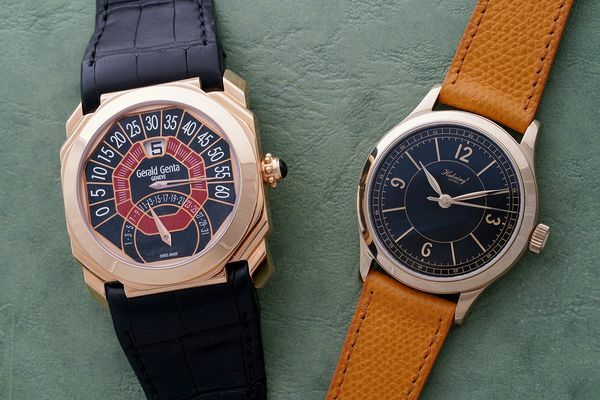 The watches offered this season are as distinctive as the watchmakers who made them. We have watches from legends such as François-Paul Journe and his pioneering Resonance and Octa Lune as well as an amazing timepiece with double direct escapement and a dial that is a work of art in its own right by Kari Voutilainen, whose hand finished movements are lauded by the cognoscenti. At the same time, we are showcasing the affordable yet superlative Habring2X Massena Lab, the futuristic and provocative designs of the Opus series alongside the delicate elegant lines of Ludovic Ballouard’s Upside Down or the surprising Laurent Ferrier Galet Surprise Tourbillon. We also welcome this season creators who are not watchmakers but independent thinkers who have in their own way changed our perception of design and watchmaking, may it be Gerald Genta and his Grand Sonnerie or MB&F with his viciously cool and technically mind boggling creations. 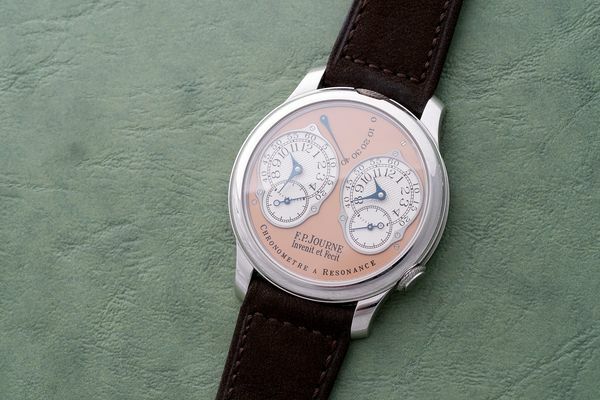 This selection encompasses ultimately different watches for different tastes but each and every piece offered within this section is a watch perfectly embodying the unbridled philosophy of its maker. 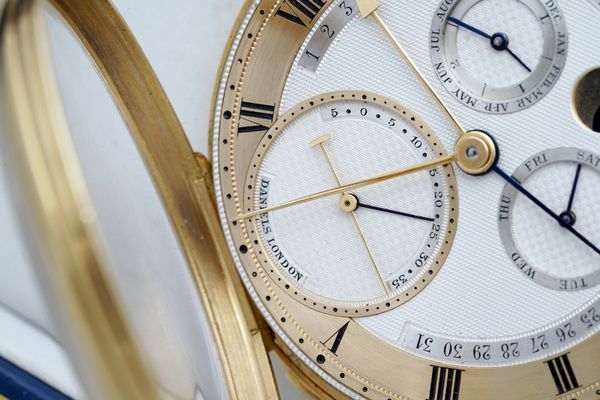 We can conclude, like we began, with the words of George Daniels: “The egocentricity of the artist cannot be changed, indeed if it did change there would be no artists, only committees” and we can proudly confirm that there are no committee designed watches in this section only true works of art.